what happens to the wife & children when a married Catholic priest dies? No one knows. No one talks about it. Everyone hopes that he will pass away after all the children are out of the house and can support their mother. Or they hope that the priest's wife has a good education and career that she used during his priesthood, financially supporting the family so he could focus on ministry and then supporting the children after he passes away. for Romanian Catholics, the 'burial of Jesus' service on Good Friday is very similar to our funeral services for all believers. Last year, I took an on-line course for Eastern Catholic clergy wives. We discussed lots of issues- children in church, working outside the home, how we could support our clergy husbands, how we can improve our relationships with parishioners and more. Maybe I missed the conversation, but I believe that we passed over any sad discussion of what we would do if we lost our husbands at an early age. And what would we do? Clergy wives are expected to sacrifice for their clergy husbands' ministry. 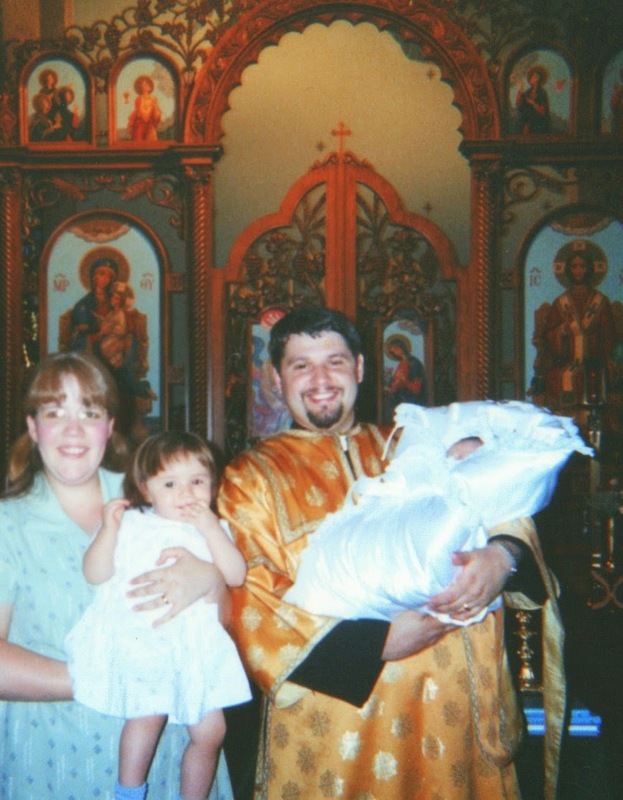 We had a four-month old, and I was one-month pregnant when we first moved across the country to serve our bishop. 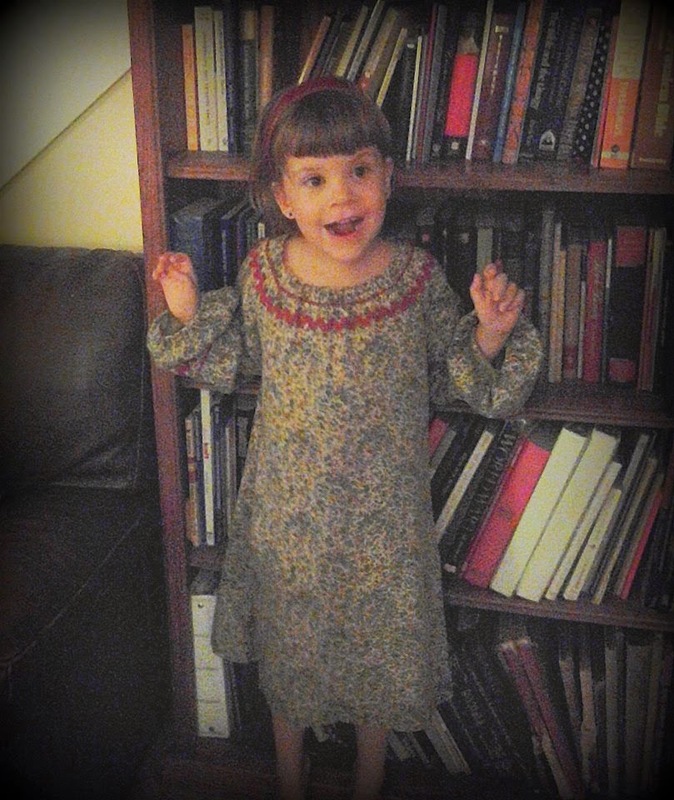 Three years later, we moved across the country again to try and salvage an ailing mission. I could expound on the fact that it is very very difficult for me, an extreme INFP, to form relationships quickly and to deal with change, but being the 'trailing spouse' was also murder on my teaching career. After Europe, I taught in Oregon for two years. Then I taught in Ohio for two years, and then after we moved again I was forced to commute an hour one way four evenings a week for my first teaching position here in California. I even drove that hour one way commute to give my students their midterm exam when I knew that I would have to go into the hospital the next day to labor with our deceased twenty week son. I made that commute for two years before I could get a better position closer to home. And I am lucky to teach four evenings a week. My career has not progressed, however, because it is disjointed after following my clergy husband around the country and I work part-time to accommodate homeschooling our children. But I do have education and a part-time career to support my family alone if need be, God forbid. 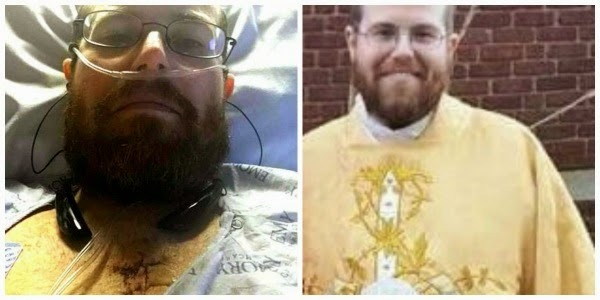 A little over a month ago, an Orthodox priest was killed in a car accident. Fr Matthew Baker was also a husband and father to six children. I would love everyone to be Catholic- Western or Eastern, but I was relieved he was Orthodox. I knew that financially his family would be okay (not great- not to compensate the loss of their father, but they would survive financially). In a month, over $735,000 was raised for his stay-at-home wife and his young children. And with his jurisdiction being a large one- Greek Orthodox- I assume that there is severance (again- any amount of money will not compensate their emotional loss) from their archeparchy as well. I do not begrudge her a penny of this after the tragic death of her beloved husband. I'm just jealous because there is no plan for Catholic clergy wives. If my husband does not receive anything now, why would I receive anything if he died? Now, we have a small retirement fund through his hospital, and I have a Master's degree and work part-time. I could put the children in public school so I could work more. We could sell our townhouse and move in with my parents. Of course, that would entail moving across the country again and losing my 'place in line' with the college. But we would probably survive financially with no help from the church. It is right that the church allows married clergy with nothing put in place to help them when the clergyman passes away? I suppose this is yet another argument against married clergy, so we keep quiet about the problem. Anecdotally, I have learned of clergy families who are left with nothing- no retirement fund, no housing, and really no parish community. 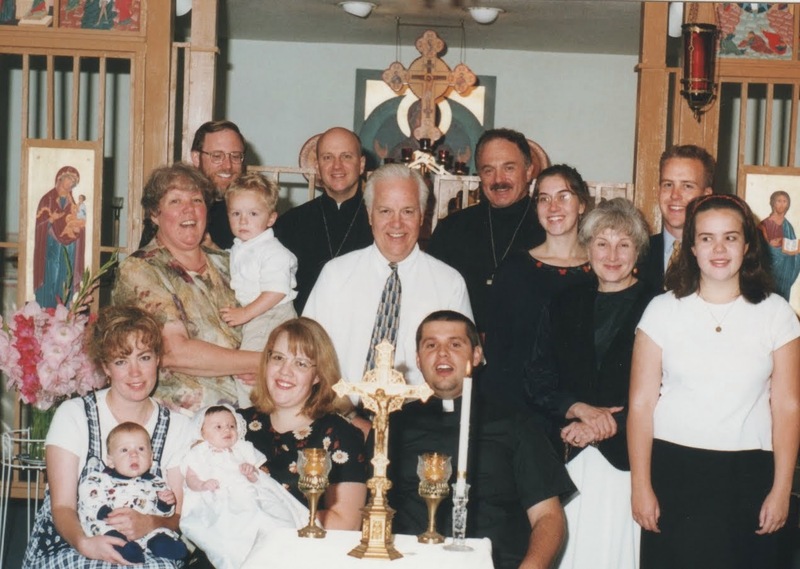 In Romania and the United States, the clergy family is so wrapped up in the image of having the priest-husband-father there, there is nothing left when he is gone. The wife leaves the clergy house as quickly as she can (a new priest is coming! ), and her family moves in with the closest relative. A few parishioners remember her and send her some of the foodstuffs their farm is producing. But she cannot attend services at her priest-husband's parish. It is too sad, and the new clergy family would feel like she is trying to undermine the new ministry. 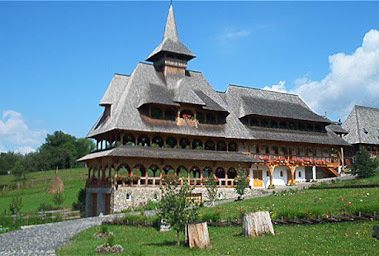 In Romania, there are other Byzantine Catholic parishes to attend, but in the States, Eastern churches are few. So the family ceases attending Byzantine services. At best, the family becomes Roman-rite Catholic, forsaking the traditions that once were so important to their family culture. And this reality is what I fear for my family: losing our priest-husband-father at an early age. My greatest dream is to be wrinkled and grey with him, still preaching and singing and making Easter bread and praying that more than twenty people come to church. My wildest dream is that our son would be ordained and he could take over our mission (funny- my dreams do not extend to the crazy notion that we would actually be able to build an actual parish in the wild West). Then, we could be wrinkled and ancient and semi-retired, a Catholic priest never completely retiring. "Up until last May I had a great privilege…I could say Mass, and I could say it every day. When I had a heart attack I found myself stuck in a hospital room and then bed bound for a few weeks and home bound for another few months. It hurt to have the Eucharist taken away from me. Now, I don’t mean that people didn’t bring me the Sacrament frequently, but I was unable to say mass, and it hurt. It took me awhile to figure out why. I have preached innumerable times about the fact that Jesus is truly present, Body, Blood, Soul and Divinity in the Sacrament of the Altar. I have preached about how it is a true Sacrifice that remits sins. However, what I have been remiss in preaching about enough is how it is a prayer. It was my illness that made me realize this. What hurt for me was not receiving the Sacrament less so much as losing my primary way of speaking to God in prayer. When a man is ordained a priest his soul is reconfigured so that the way he is meant to speak to God is daily through praying the mass. And this is not just for priests but for the whole congregations. Mass is not a communal meal. Mass is not the priest talking to the congregation nor is it the priest performing magic for the people. The mass is the “prayer par excellence” of the Church. The prayer is said by the priest who stands in the place of Jesus, who pleads to the Father through the power of the Holy Spirit. The congregation prays along with the priest to God the Father and says “Lord, hear the prayer of your Son! Grant us remission of our sins and come among us in the form of your Son on the Altar!” The Angels and all the Heavenly creatures and Saints join us in the prayer as we speak to God. Being laid up prevented me from this form of communication that God has asked me to do, and I ached until I could do it again. It was a hard way to be reminded of this, but tonight we celebrate that Jesus gave us all the Eucharist as the great prayer of the Church, not just for priests, but for all of us here. It’s the highest form of prayer any of us do. Tonight we celebrate the institution of the priesthood. In this gathering Jesus passed on his High priesthood to the Apostles. It was a great blessing and a sign of favor that these men were granted this gift and it would be logical to assume this great blessing would protect this men. Over this past year I have had 2 heart attacks, been defibrillated 3 times, had 7 stents placed in my arteries and had 4 new arteries grafted onto my heart during open heart surgery. My bones have been broken, my heart has stopped and my blood has flowed from me, all in the public eye. My suffering has been seen by all with no privacy afforded. I honestly don’t know why this has all happened to me, and neither do the doctors for that matter. However, I am 100% convinced that God is using my suffering in the public eye to teach me and you about the priesthood and being an example of Christ to the world. I have a hunch that the lesson I am being taught is about humility and the cost of spiritual fatherhood. All of us know that to follow Christ means to pick up our cross and follow him. Jesus promises none of us and easy life, but he does promise redemption. The priests of our Church give us the sacraments, lead us as fathers and carry their cross in full view of all. Tonight Jesus also teaches us about fraternal charity by washing the feet of the Apostles. He, the King of Kings, gets down on his knees to do a servant’s job. If you want to be a Christian, you need to be prepared to go out of your way to serve others. This is a clear command of the Gospel that I have seen in action for Catholics and non Christians alike here and at other parishes, but it looks different on the receiving end. In this past year I have been reminded that there is so much for me to learn about the Eucharist, the Priesthood and fraternal charity. I pray that God will continue to reveal the depth of the three gifts to all us more and more each year, using our personal circumstances to illuminate them for us. I pray your personal circumstances are markedly less dramatic than what I have described, but if they are, or are even much worse, may God guide and teach you through them." Thirty-one years ago on Easter vigil, my family became Catholic- dad, mom, and us five children. Now, we siblings are all married to practicing Catholics and we have about twenty-five Catholic children to add to the mix. How did this happen? My grandparents consisted of a Presbyterian, a Quaker, an Episcopalian and a very lapsed (there was a stern, angry nun, natch) Catholic. When I was growing up, we spent extended time in the Episcopalian and Quaker churches, and my mother even dabbled in a new-age Hindu meditation church for a while. Really the most consistent spiritual practice of my childhood was always praying the Lord's Prayer together as a family before we went to sleep. One day, our Mexican-American neighbors invited us to the 'spaghetti feed' at their local Catholic parish. Why was spaghetti the fundraising food of choice for this church that had immigrants of Latino, Vietnamese and German origins? I don't know, but the dinner was well-attended We went and enjoyed a bit of pasta. We continued our good, non-Catholic life. A few months later, my parents took us on a tour of the Christian churches in the area- a different community every Sunday. After a while, we finally entered the actual church-area of St Joseph's. And we went back the next Sunday. And then my parents decided to begin formation. Why did we convert? I suppose we converted for the reasons that many people leave the Church. 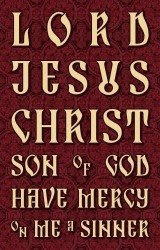 We love the crucifix, the sacraments of the Eucharist and confession, authority, tradition, dogma, and discipline. 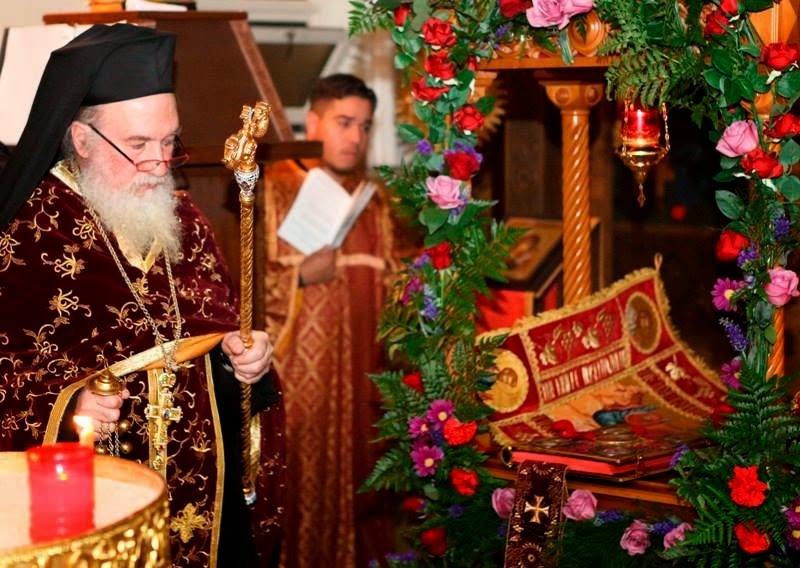 Our relationship with the Theotokos is also an important part of our faith. We had always read the Bible with reverence, but becoming Catholic helped us begin a deeper relationship with Christ. Who knows what the future will bring, but for now, we are all on similar paths to Christ through our Catholic faith. I am grateful.